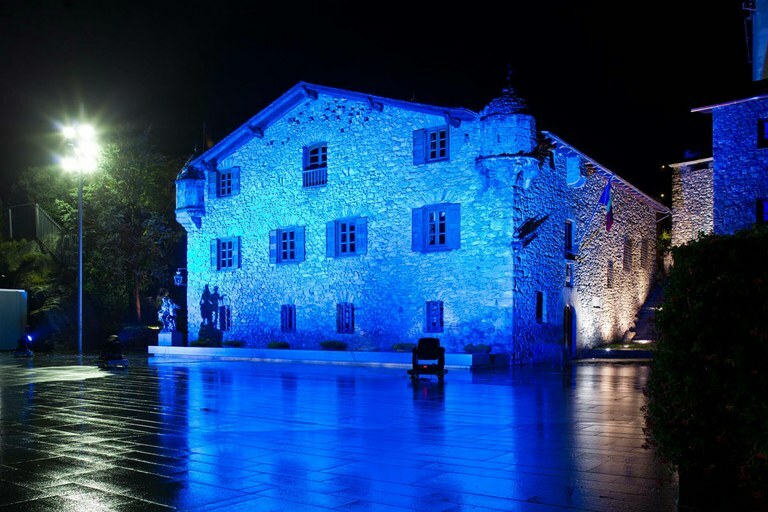 In December 2000, new external lighting was installed to enhance the beauty of the Casa de la Vall, probably Andorra’s most iconic historic building. Inside, moreover, the lighting in several rooms was also modernised: the Council Chamber, the Hall of Lost Steps, the Office of the Syndic, the entrance hall and the stairs up to the first floor. The mural paintings and altarpieces located in these areas were highlighted, using fibre optic equipment that does not alter their pigments. An ambience appropriate to the particular characteristics of each room was also achieved. Indeed, two lighting levels were installed in the Council Chamber: one suitable for use during the working sessions of the General Council, the other more appropriate for visits, highlighting the heritage aspects of the chamber. The lighting here emphasises the monumental presence of the sanctuary and its magnificent surroundings, and invites the visitor to explore the site to fully appreciate its quiet beauty. 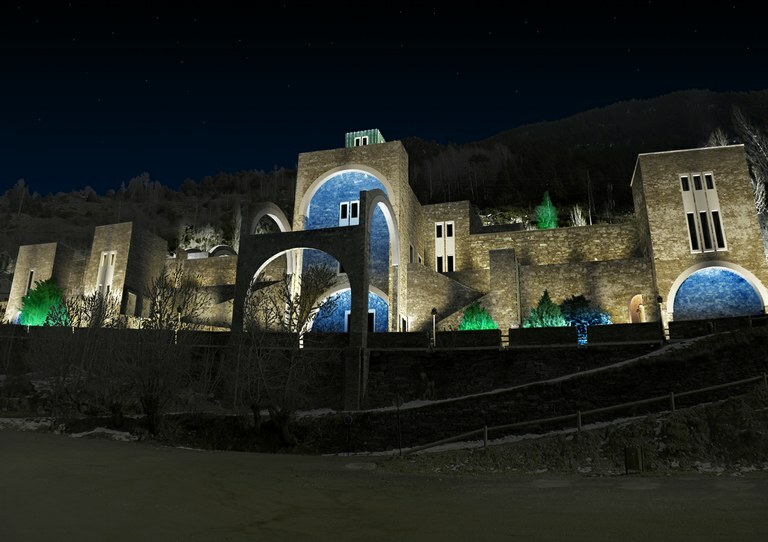 The location of the building was taken into account, and the frontal view was duly emphasised by the illumination. The general lighting system enables us to appreciate the overall dimensions of the whole architectural site from the road and any more distant point. The lighting design faithfully reflects the architectural line of the sanctuary whilst emphasising its peculiar features and enhancing the effect caused by the surrounding woodlands. 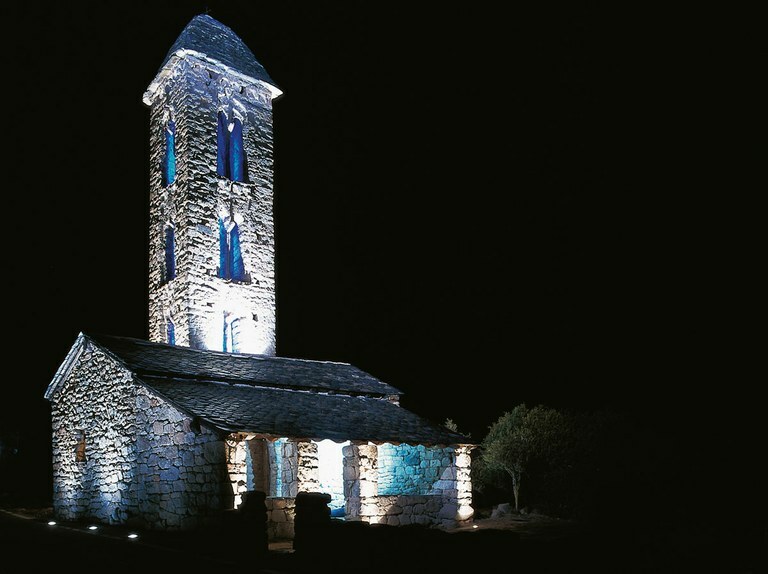 The lighting at Sant Miquel d'Engolasters has particularly symbolic value, because the chapel can be seen from virtually the entire central valley of Andorra la Vella and Escaldes. This emphasises the country’s position as a repository of outstanding Romanesque heritage. The illumination highlights the height of the tower, whose proportions are remarkable compared to the size of the nave, bringing out all the charm of this magnificent site. 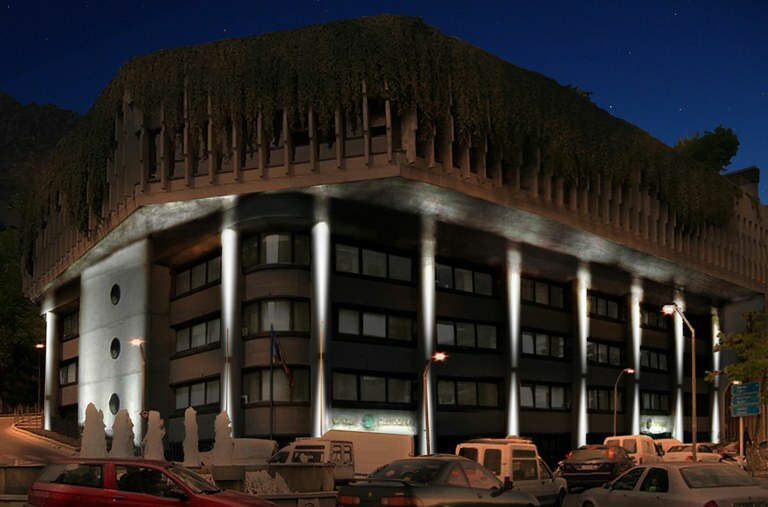 One of the most notable features of the Government administration building is its austere appearance, and the night lighting confers a touch of solemnity on this site. The illumination of the columns accentuates their verticality and adds depth to the façade. Altogether, the lighting enables the building to quietly stand out from its surroundings, conferring an air of distinction on the site. 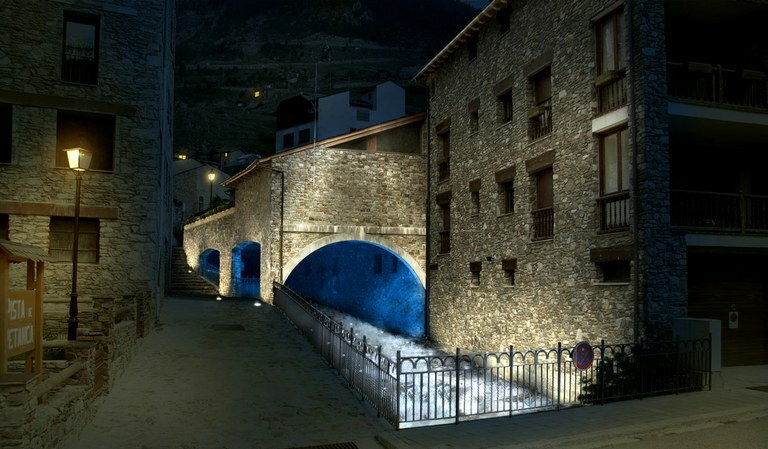 The lighting system installed here brings the River Montaup to life along a channelled section that runs through the town of Canillo. The light turns this stretch of the river, which could easily pass unnoticed, into a visual spectacle, enhancing its natural beauty.